Get A Fair All-Cash Offer for Your Los Angeles Home. I Want My Free No-Obligation Cash Offer! If you are you saying to yourself “I need to sell my house fast in Los Angeles,” you’re at the Right place. 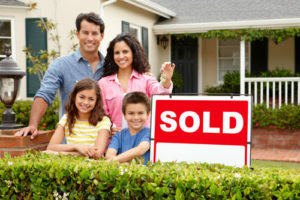 At Solution Home Buyers, we buy houses in Los Angeles and surrounding Southern California areas. See How Our Simple 3-Step Process Works. We can give you a fair offer for your house within 24 hours. If you want to sell your Los Angeles house … we’re ready to give you a fair all-cash offer. Stop the frustration of your unwanted property. Let us buy your Los Angeles house now, regardless of condition. Finally, you no longer have to deal with agents, open houses, inspections, repairs and the uncertainty of when your house will sell. 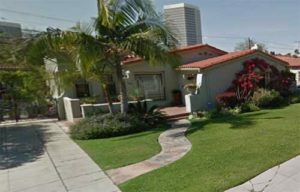 We buy houses in Los Angeles….just like this one on Cochran Ave. Are you saying to yourself “I need to sell my house fast in Los Angeles?” We can buy it as-is! Get your fair offer today! To put it simply, we buy houses in Los Angeles no matter what the situation is. If you have a property and are saying to yourself “I need to sell my house fast in Los Angeles”… we’d like to make you a fair cash offer and close escrow on the day of your choice. We work differently at Solution Home Buyers. We buy houses in Los Angeles for cash. When you say to us “I want to sell my house fast in Los Angeles” and submit the short property information form (below) or give us a call at (818) 392-4845, we’ll do a FREE Evaluation of you situation and give you a fair all-cash offer on your house within 24 hours… and the best part is: we can close whenever YOU choose to close – it’s entirely up to you. We help property owners, who are saying I need to sell my house fast in Los Angeles, find solutions for all kinds of situations. From divorce, foreclosure, death of a family member, burdensome rental property, and all kinds of other situations. We buy houses in Los Angeles and surrounding areas and pay a fair cash price, fast. Selling a property through a realtor can be a very long, time-consuming stressful process. Sometimes, those who own property simply have lives that are too busy to take the time to do all of things that typically need to be done to prepare a house to sell on the market… if that describes you, just let us know about the property you’d like to be rid of and say to us I want to sell my house fast in Los Angeles for cash.